Anyone experiencing or fleeing a domestic violence situation is able to access a variety of services at no cost at A Safe Place. Have an intimate partner who has been abusive or controlling towards you? You are not alone. Clackamas Women’s Services offers weekly drop-in support groups for those who identify as women. The support group takes place at A Safe Place on Fridays from 11am-12:30pm. For more information, call the CWS 24-hour crisis and support line at 503-654-2288. Clackamas Women’s Services is hosting a free and confidential support group for individuals over 18 who have experienced sexual assault. For more information or to sign up, contact 503-349-4849 or maryv@cwsor.org. Abuse Recovery Ministry Services provides free faith-based classes to educate, encourage, and support women who are facing or recovering from domestic abuse and violence. Topics include (but are not limited to): overcoming low self-esteem, oppression, boundaries, depression, anger, loneliness, healthy choices, recognizing true love, and dare to dream. The group takes place at A Safe Place on Tuesdays from 2-3:30pm. For more information, please contact 503-846-9284. Clackamas Women’s Services offers a healing art workshop – providing children who have experienced trauma and transition a window of time where they can feel safe and supported while discovering who they are through creative expression. Workshop topics include: creating safety, processing anger, exploring our inner world, and holiday workshops. It is open to children ages 7-17. 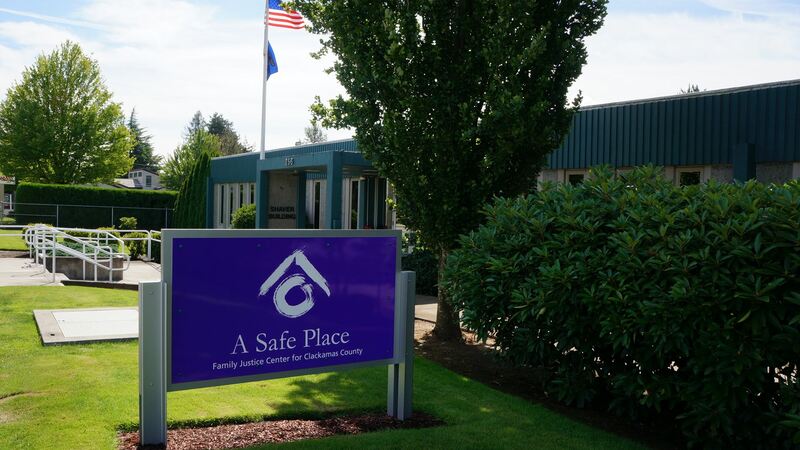 Workshops will take place on Wednesdays from 4:30-5:30pm at A Safe Place.For more information or to sign-up, call 503-908-9411. Clackamas Women’s Services offers Love and Life, a group for 5th to 8th graders who identify as girls. Group topics include learning about healthy relationships, friendships and peer pressure, self esteem, and dealing with overwhelming emotions.For more information or to sign-up, call 503-908-9411. Clackamas Women’s Services’s Make Parenting a Pleasure is a Spanish language parenting group for parents with children ages newborn to 12 years old. Join other parents and learn about how to manage stress and anger in healthy ways, develop communication skills, and learn about tools for positive discipline. For more information or to sign-up, call 503-908-9411. Protection orders can be obtained at A Safe Place Monday through Friday during business hours. In order to file an order and appear before the judge in the same day, paperwork must be reviewed and filed with A Safe Place before 10:30 a.m.
Paperwork completed after 10:30 a.m. can be filed at a later date by calling in to our office on the day you are ready to file.